Giving birth is one of the happiest moments in life so why some moms feel sad after childbirth? After giving birth to my first child I cried for almost two weeks, apparently for no reason. I suffered from a condition called "Baby Blues Postpartum". Many new moms experience the Baby Blues after delivery. However, some women may experience a deeper depression which lasts much longer. This is called Postpartum Depression. The Baby Blues Postpartum is a common temporary psychological state right after childbirth that peaks 3-5 days after delivery and lasts from several days to 2 weeks. Baby Blues are not considered an illness and do not interfere with your ability to care for your child. You may have sudden mood swings, feeling very happy, then very sad. Feel impatient, unusually irritable, restless, anxious, lonely and sad. Feeling sad, hopeless, and overwhelmed. If you have some of the symptoms or your Baby Blues don’t go away after 2 weeks do not hesitate – see your doctor. Your doctor can ask you questions to test for depression. Your doctor can also refer you to a mental health professional that specializes in treating depression. Tell your partner, family and friends how you feel after delivery and ask for help. It is important to discuss your feelings with your partner and allow him to express his feelings too. Try to eat your meals on a regular basis. Drink a lot of water or fluids. It is recommended doing physical activity every day. Avoiding or postponing unnecessary activities. Taking care of a baby is demanding so get help from someone you trust. 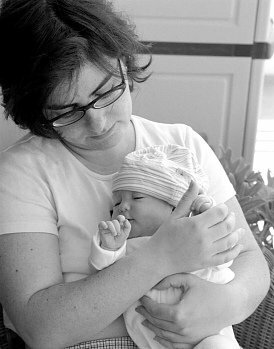 Read more about postpartum depression and natural treatment options that are available.